Sameh Zoabi est né en 1975. 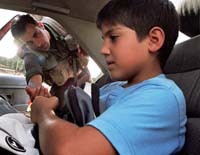 Élevé à Iksal, un petit village palestinien près de Nazareth, il obtient son diplôme en études cinématographiques et en littérature anglaise de l’université de Tel-Aviv en 1998. L’année suivante il reçoit une bourse de mérite de trois ans avec laquelle il fait un master à l’université de Columbia (New York) qu’il obtient en 2005. Son court métrage BE QUIET est sélectionné en 2005 Montpellier. TELEPHONE ARABE (MAN WITHOUT A CELLPHONE), son premier long métrage, a remporté l’Antigone d’or au 33e Cinemed 2011. Sameh Zoabi was born in 1975 and raised in Iksal, a small Palestinian village near the city of Nazareth. In 1998, Zoabi graduated from Tel Aviv University with a double degree in Film Studies and English Literature. The following year, Sameh was awarded a three-year merit scholarship, which he used to pursue a Master’s Degree at Columbia University in New York City. In February 2005, he completed his M.F.A. in Film Direction at Columbia’s School of the Arts. 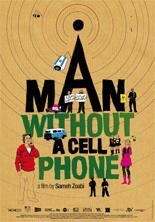 MAN WITHOUT A CELLPHONE, his first full-length feature film, won the Antigone d’or at the 33rd Cinemed in 2011.